As a Partner, Activated has years of experience in the design, installation and support of Cisco network solutions. Our Cisco partner status ensures that our engineers are always subjected to latest training and certifications, enabling us to provide the highest quality of service to businesses of all sizes. Find out more about Cisco Network Consultancy. Activated continues to be equipped to implement Cisco Wireless LAN products through the Cisco Channel Specialization program and Activated is among the companies in the bay area accredited to do so. As the industry leading enterprise wireless LAN product manufacturer, Cisco Systems have an extensive range of solutions to address any business networking challenge. Offering ‘borderless network architecture’, Cisco’s product portfolio enables organizations to gain complete control over their network mobility, management and security. Whether you are looking for wireless access points, wireless LAN controllers, network firewalls or Cisco support, or even a total Cisco solution, we can help. Through innovative and cutting-edge WiFi technology, Cisco wireless products and solutions will keep your enterprise network performing at the highest levels, whilst providing the scalability and flexibility to meet the specific needs and requirements of your business. Where have we deployed Cisco WiFi Solutions? 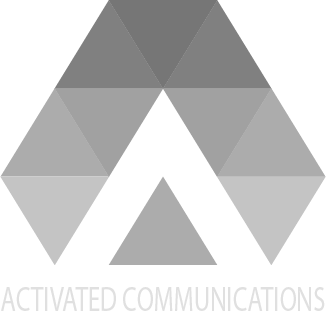 Activated have provided cisco-based wireless network solutions to some of the most recognizable and successful companies, including Roku, Delphi, and The Alzheimers Association. As the industry’s leading enterprise wireless LAN vendor, Cisco Systems have an extensive range of business-grade products and solutions to address and business networking need or challenge. Offering a unified borderless network architecture, Cisco’s product portfolio enables organizations around the world to gain complete control of their network mobility, management and security. Helping to address the accessibility, quality-of-service (QoS) and availability to network users, Cisco empowers the modern workforce to connect irrespective of location, improving mission-critical communication, information exchange and customer relationships. Cisco’s Aironet Access Points are suitable for all levels of enterprise deployments, from small branch offices to campus and large distributed workforce scenarios. Boasting an extensive range, the Cisco Aironet covers everything from entry-level models high-performance 802.11ac networking. As you might expect, the Cisco Aironet range of access points is vast and covers the needs of all manner of business types and sizes. Offering indoor and outdoor wireless capability, Cisco access points support remote workers and branch employees as well as the very latest network security technology. There are models designed specifically call with smaller businesses in mind, as well cloud-managed options for faster deployment and affordability. Cisco’s advanced range of network mobility controllers enable businesses and organizations to enforce consistent policy management across their users, various networks, devices, applications and data. Through this level of control, user experience and overall security can be significantly improved. Cisco wireless LAN controllers (WLC) are designed to aid businesses in simplifying their approach to workflow whilst creating a level of flexibility not possible with older, more rigid, network architectures. From the Cisco 2500 for small and medium sized businesses to the 8540 wireless controller, capable of supporting up to 64,000 clients, there is an option for every business requirement. In a world of constant threat, network security has come a long way. Cisco’s most deployed stateful inspection firewall combines next-generation security services robust web security, visibility and control, secure remote access, botnet protection and proactive internal threat mitigation. If cybersecurity and the protection of your valuable business data isn’t a primary concern, it should be. Cisco ASA firewalls offer a solution to growing cyber-threats with multi-layered protection against the most sophisticated cyber-attacks and malware. The wide range of firewall sizes and form factors ensures that irrespective of your business sizes, requirements or budget, the Cisco badge is well within reach. As a scalable identity-based network monitoring and management solution that enables enterprise policy defined control and reporting, Cisco ISE provides all the critical endpoint information required by IT administrators to ensure a healthy, secure high-performance network. Unprecedented numbers of mobile and fixed devices are found on today’s corporate networks and without a secure access management solution, it can be a headache to keep track. Cisco ISE is a single policy control point for the entire corporate estate, from wired and wireless to VLAN and guest access.